When your computer gives up or acts out, it’s time to call in a professional. Our Tech Support Team is always there to help you diagnose whatever is ailing your laptop or desktop, and fix it fast. Our expert computer repair team has experience with diagnosing and removing viruses, restoring backups, fixing hardware issues, and other computer services too. When your software starts acting up, it can impact your whole life from your work to your personal life. Keep your computer running smoothly with fast computer software repair when you need it. The Goober Tech Team is able to diagnose and repair most software problems. We can even help with third-party software solutions. Most Computer Software repair can be done remotely. Learn more about remote support with Techno Goober. Call Techno Goober today to learn more about software support. Computer hardware repair is trickier than software repair. With hardware repair, we often need to take the computer apart to figure out what is going wrong and how to fix it. The fix could be as simple as a new chord, or as complex as a new motherboard. You can rest assured that Techno Goober will ensure that your computer is up and running as fast as possible with our expert tech team. We can help with Windows computer repair, Mac computer repair (or Apple computer repair), and even Linux computer repair. Our Tech Support Team has seen nearly everything, and they know how to fix it. We can even retrieve lost photos from your hard drive. For a fast computer fix in Delaware, call Techno Goober today. If your computer really has kicked the bucket, and it is beyond our computer repair services, we will help you determine what computer to purchase next. We know how frustrating technology can be. Trust us to help make computer repair in Lewes, DE hassle free. Years ago, a custom computer was your best bet, in terms of reliability & quality. Now, there is little to no difference between the quality of a custom computer and one purchased from a major brand. The difference in price of a computer comes down to the level of performance that is needed for its function. 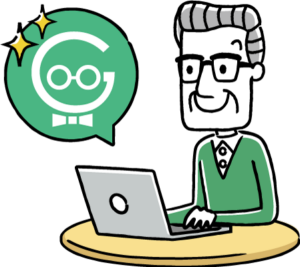 The Goobers will help you to determine exactly what you need and provide recommendations based on our experience. Once a quote is provided and approved, we will acquire the hardware on your behalf, deliver it, install it and verify that everything is working as expected before we depart. That commitment to helping you from start to finish is what makes us the top computer repair team in Delaware. If the budget allows, we will always recommend purchasing new equipment. Techno Goober will help you weigh your options. Refurbished devices, such as computers, laptops, tablets, phones, and printers, were utilized, decommissioned and sold back to a company to revitalize them. They were then put back on the market at a fraction of the cost of a new computer with the same specifications would cost. Depending on your budget, you can stretch your dollar more with refurbished equipment, but we highly recommend that you consult with Techno Goober before purchasing one. We will make sure that it meets your needs, and once it arrives, we will verify that it functions as expected or start the return policy. For help setting up a new computer, contact Techno Goober to speak with one of our experienced technicians. When you need help with computer repair in Delaware, call us at (302) 645-7177. Just ask for our Tech Department! Before you start pulling your hair out, have you tried turning it off and back on again? We’re not kidding! It works!